Amsterdam, The Netherlands – Today, Royal Philips, the global leader in lighting announces a breakthrough new member of Hue. 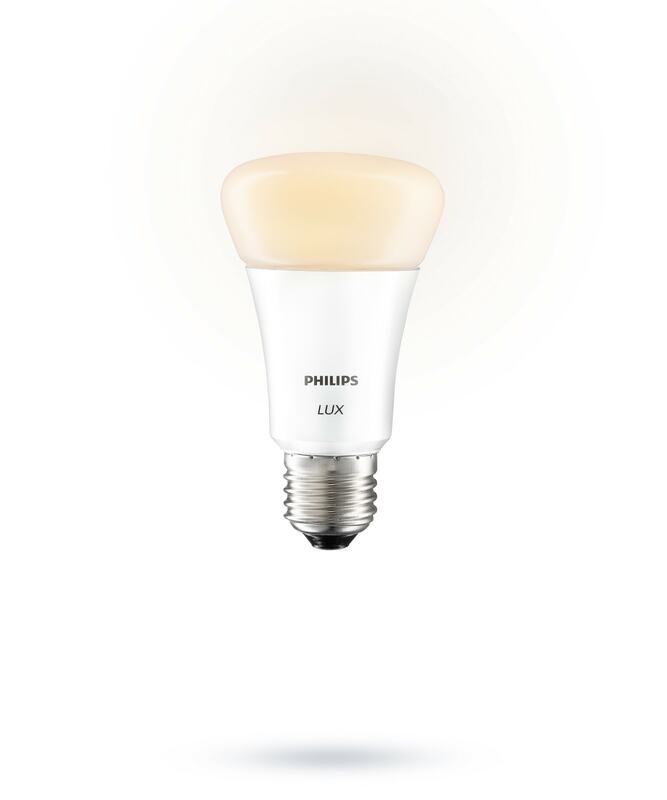 Philips Hue lux is a bright white-only version of Hue, controllable using your smart phone or tablet and fully compatible with the vast range of Hue apps and hardware. The world’s leading personal wireless lighting system for the home sets a new benchmark for connected quality white light. With the launch of Philips Hue lux bulbs, anyone who wants great quality, functional white light for everyday living can now enjoy a smart LED bulb with perfect digital dimming control. Using the intuitive app, you can lower the setting from bright, warm white light for practical tasks to dimmed light, all from the convenience of your smart device, even when you’re away from home. Hue lux uses the same backbone as the rest of the hue eco-system so you can enjoy third party apps, such as the disco app that synching Hue lux to music. It’s also compatible with Hue apps and control devices such as the jawbone bracelet which detects when you are waking in the morning and switches on your Hue lux in your bathroom. Each starter kit contains two Hue lux bulbs and a Hue bridge. Simply screw in the bulbs, plug the bridge into your home WiFi router and download the app or just add Hue lux to your existing Hue bridge Once you’re set up, you can control your bulbs directly through your mobile phone or tablet. Since Hue lux uses the industry-standard ZigBee protocol to communicate, further home automation products such as switches and sensors can also be integrated with your Philips Hue lighting system, allowing you to make your home even smarter over time. Hue lux is available in North America and Europe at selected retail outlets after summer 2014, and will be accompanied by a new app update. Philips Hue lux starter kit (two bulbs + one bridge): US $99.95 /€99.95 (RRP).